Beautiful throw over pillow covers, great value in a pack of 3. Laid flat they measure about 16inches x 16inches (40cm x 40cm). 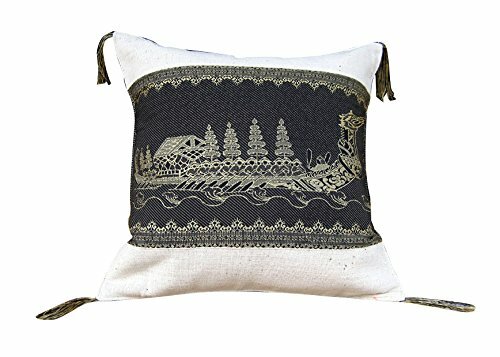 Hand made craftwork, made in Thailand under Fair Trade principles.